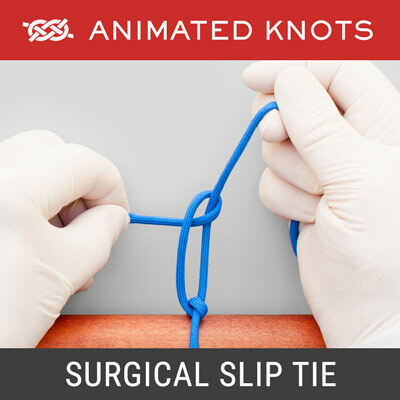 We introduced this section partly to accompany our research on surgical knots showing that the Constrictor is markedly superior to knots usually employed by surgeons1. 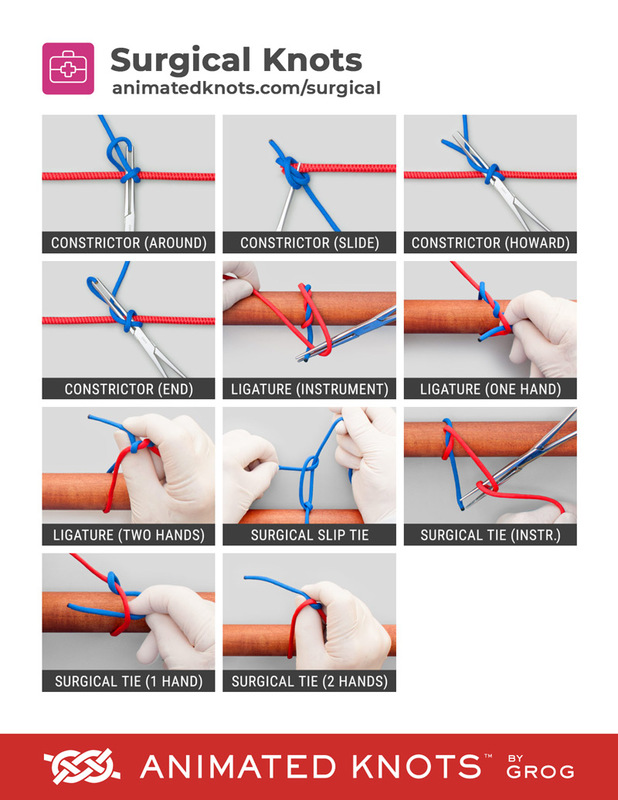 The paper has generated interest and, as a result, the Royal College of Surgeons has kindly made it available online. 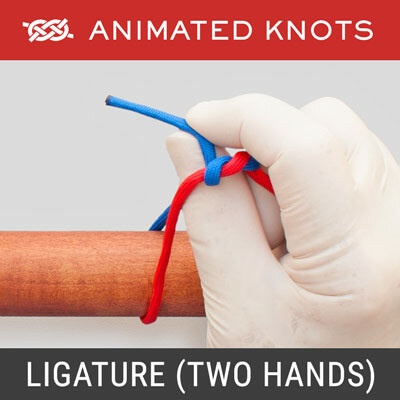 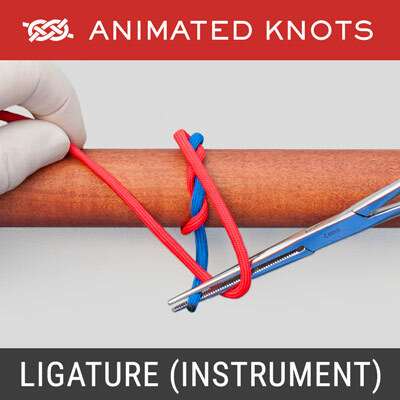 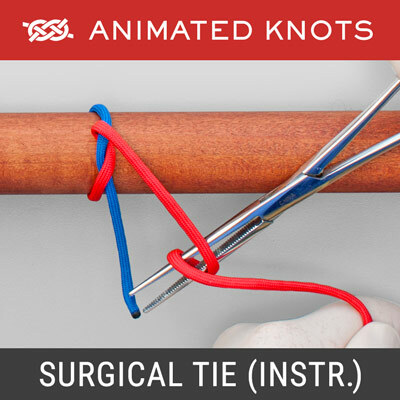 We show four techniques for tying the Constrictor in Surgery as well as animations for Surgical Ties and Ligatures – all tied from the surgeon's viewpoint. 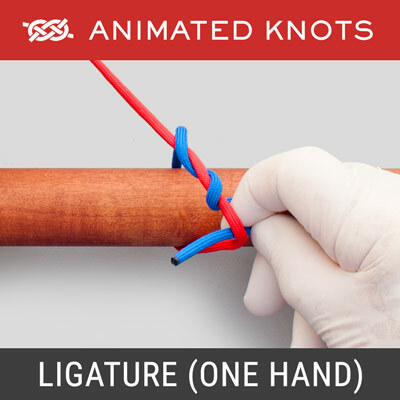 Each animation can be flipped to suit right-handed and left-handed operators or inverted to help an instructor guide a student sitting across a table. 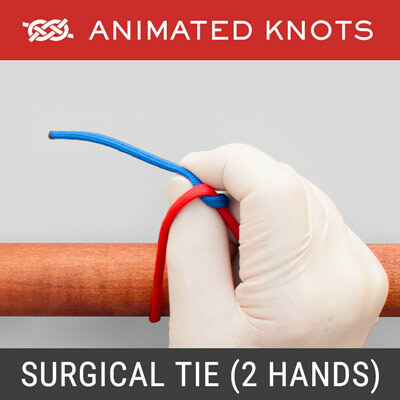 Surgical Ties are commonly described as "One-Handed" or "Two-Handed" – slightly confusing because both techniques involve two hands. 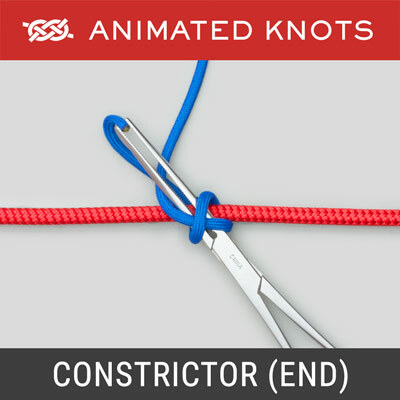 We have added the names "Push" and "Pull" based on the way that the end is guided through each knot. 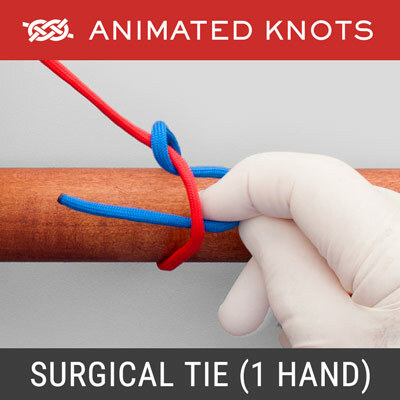 A completed surgical knot may be out of sight. 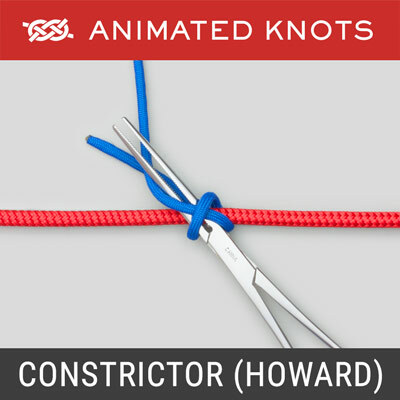 So, the technique may create the intended Square (Reef) knot or it may create an unintended stack of Half Hitches. 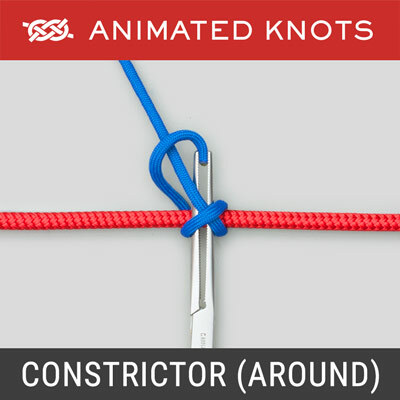 This partly explains the custom of adding multiple extra Half Knots. 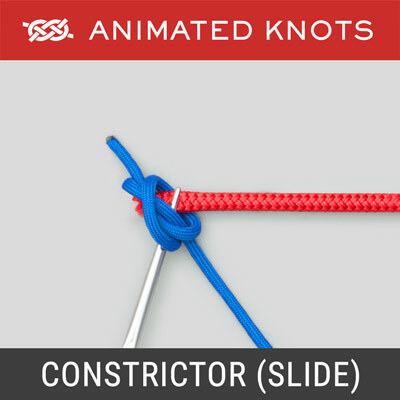 The Constrictor provides a method of which eliminates this risk.